Album name and track listing are both inspiring, for sure! But we have to wait another week to hear the single track Heaven. I cannot say that I like the album cover (though it looks very conceptually), but I'm in ecstasy of a title of forthcoming album! I really, really like the title and I love the image - it reminds me *just a little* of the Some Great Reward cover. I really really like the new album name and cover! Finally we get a name wooohooooo :D And it's even better because not one single person guessed the name or was even close ! Those DM guys sure are tricky! OMG OMG OMG OMG!!! 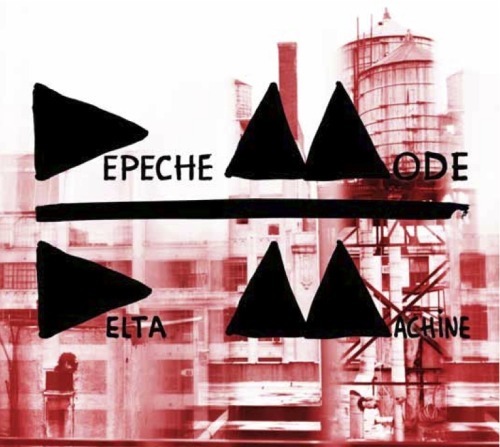 News is hear and the title Delta Machine is brilliant....great to read the song tracklist but I was anticipating the last track to be Goodbye...I hope this is not meant as THE final goodbye!!!!!!! Cannot wait for the video next friday. dannyboyb wrote: I really, really like the title and I love the image - it reminds me *just a little* of the Some Great Reward cover. It's interesting you say that, dannyboyb. The first thing it reminded me of is the cover for 'Black Celebration' to be honest. Perhaps it's supposed to look a little familiar!